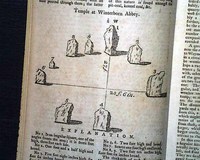 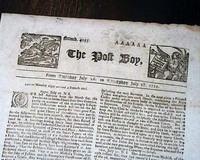 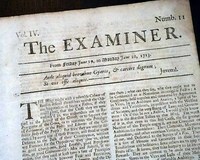 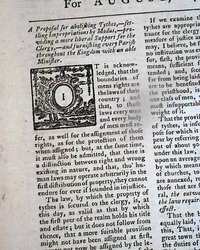 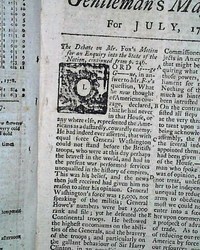 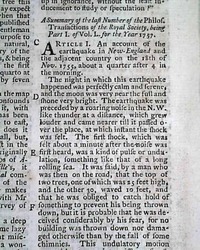 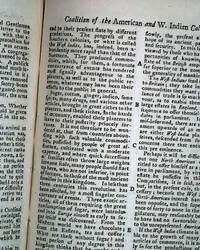 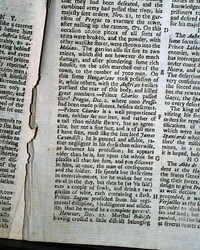 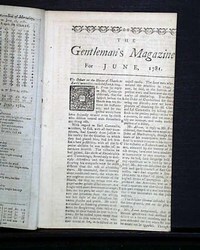 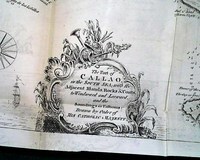 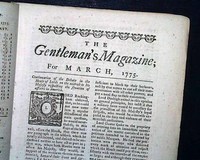 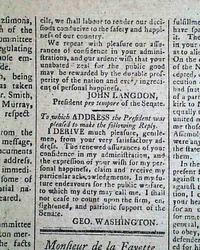 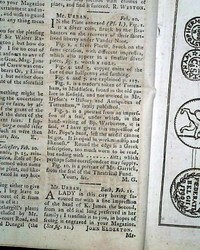 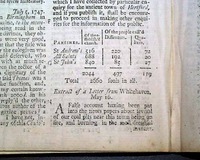 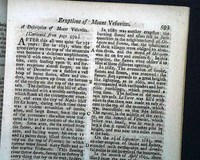 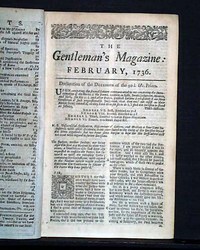 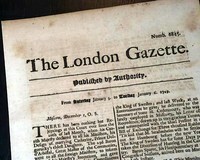 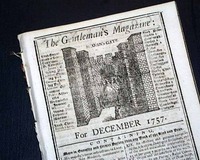 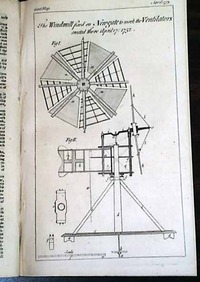 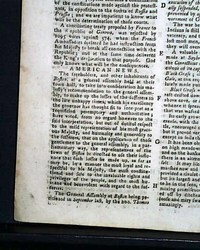 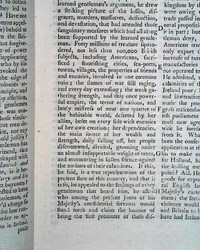 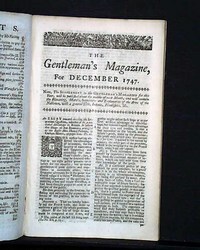 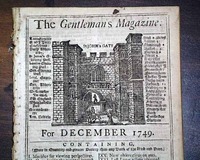 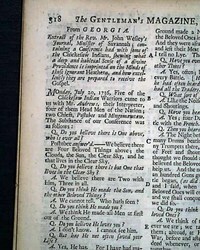 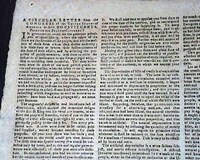 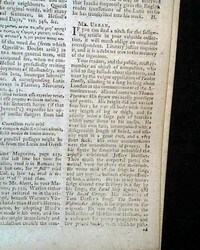 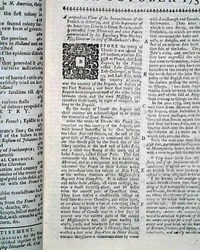 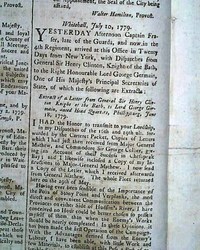 The eighteenth century saw the heyday of the Age of Reason, and the rising popularity and increased distribution of newspapers played a key role in deepening and expanding public discourse. 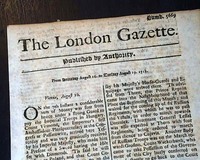 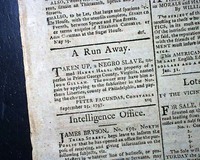 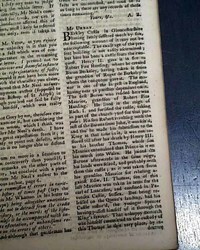 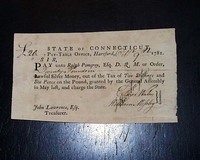 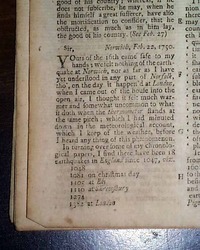 We carry only absolutely authentic original newspapers, and there's no better way to discover the history of the 1700s than to hold a newspaper from that century in your own hands. 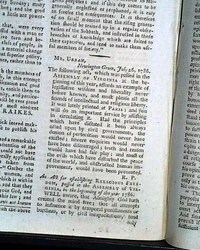 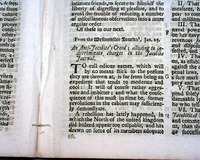 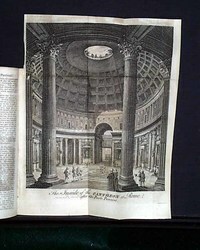 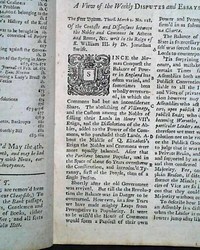 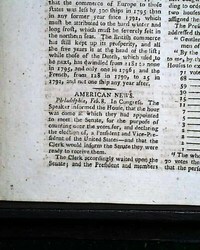 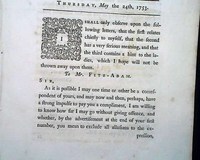 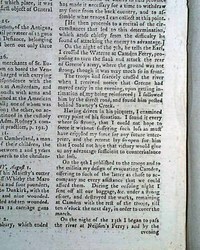 Over 19 pages at the beginning of the issue are taken up with reports on events in Parliament under the guise of: "Proceedings & Debates in the Senate of Lilliput" as direct reporting on Parliamentary events was prohibited. 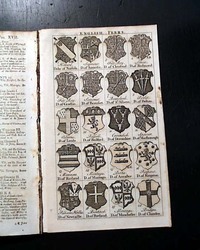 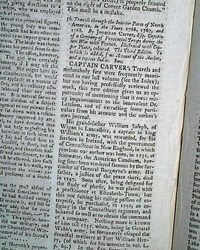 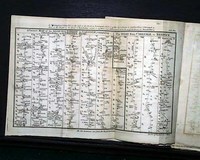 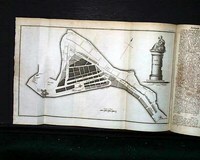 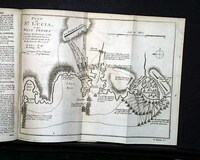 Close to two pages are taken up with a list of: "Ships taken by the French from the English"